very nice work colours work well too. Been a while since I've looked at your work. The red one, Crimson is my favorite. 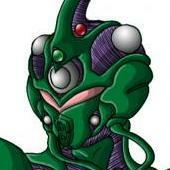 Just got a Max Factory Figma of Guyver 1. This guy is definitely gonna help me in drawing more action shots for these guys! 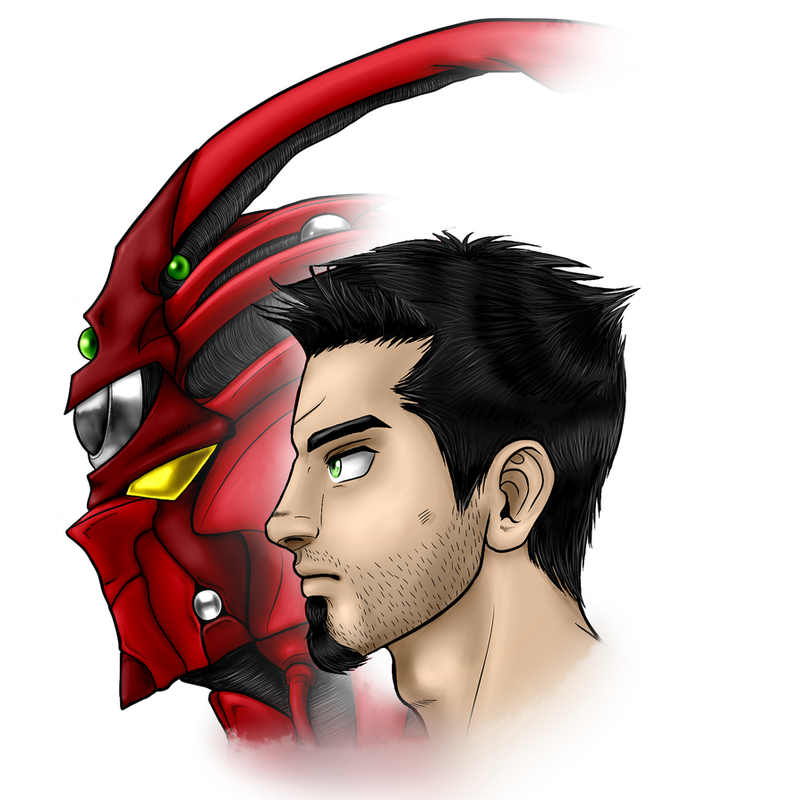 Still in a Guyver inspired mood so I'm working on a big "still" from the story. Its very much in a way, in homage to the Anime's scene of Guyver 2 confronting Sho and Tetsuro at Mt.Narisawa. A fight happens, Crimson being a trained fighter defeats Haunting easily. Right when Crimson is about to slice and dice Haunting, Cryptic appears and rescues Haunting with a swift kick to Crimson's face. Thus the first time all 3 activated units meet each other. Still going to make a background and shade this piece but I'm still droppin it here to show a WIP of it. WOW! that is awesome. Your art gets better and better everytime I see it! 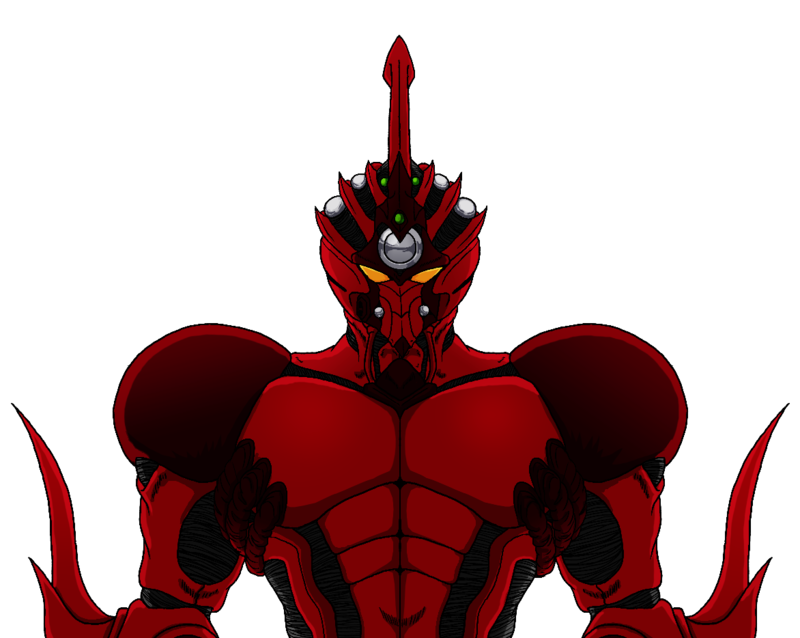 I'd love to see Crimson head up against a Zoalord Guyver in his gigantic form. "Just lay down and give up." Crimson said laughing as he held Salem by the throat. "N-NEVER!" Salem hissed suddenly the blades that protruded from the forearms of his armor elongated and ignited like they were on fire. Something whispered to him "Gut him." Salem didn't hesitate and swung his arms to try and stab Crimson with his newly discovered weapons. Crimson dodged however and laughed. "Whats this you activated your High Frequency swords?" He quirked his head as he extruded his swords in response. "You've got heart, I'll give you that." Crimson snickered. "Too bad I'll have your heart in my hands soon enough." He said crushing Salem's imaginary heart in his palm. Salem was exhausted his breathing becoming faster while his throat felt like it was closing up on him. Yet Crimson wasn't even phased. "Look..." Salem said trying to catch his breath. "Even if I wanted to give you this thing back... I don't know how." He said. Crimson only chuckled and began attacking him yet again. This time Crimson's blades dicing his flesh apart like it was hot butter. His blood gushing out of every cut like a fire hose. His wounds drained him of whatever energy he had humanly left in him. "I'm a bit of a showoff." Crimson began monologuing. "So..." He threw Salem's lifeless body to the ground. Salem only had enough energy to sit up, his fingers digging into the beach preparing for the end. "I think I'll take your entire head to make sure I'm not missing anything important." He said extending one of his high frequency swords while approaching his prey. Salem closed his eyes and dug his fingers even further into the sand. "If it's any consolidation Blue." Crimson said. "Better that I found you first and not Chron-" Salem heard a extremely loud crack as he watched as a dark figure drop kick Crimson from the sky. Crimson hit the ground so hard he was sent over 10 meters leaving a trail and a crater. "WHAT!?" Salem gasped as he noticed an all to familiar metallic medal on this being's forehead. "Get up Salem!" she said looking at him her control medal began to glow. Salem then realized her voice sounded familiar. It was the voice that had somehow taught him how to activate his blades and even told him to attack Crimson with them. She had somehow communicated with him through his mind. "I'm going to need your help with Mr.Force." 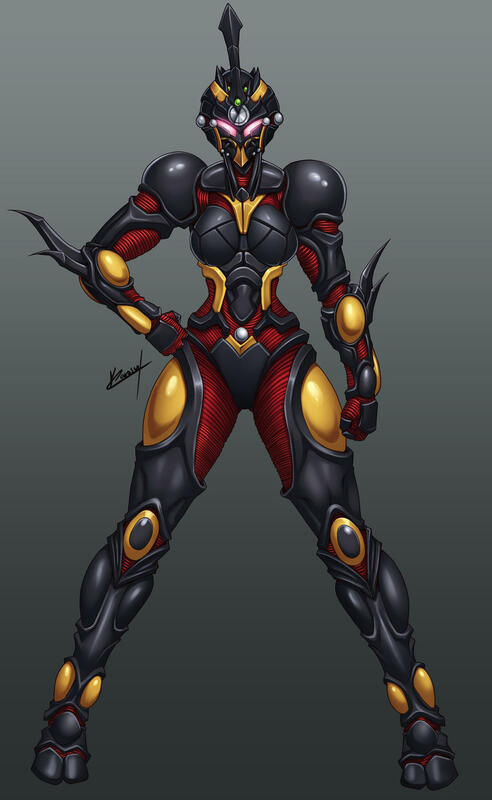 She said preparing for Crimson's retaliation. Its been a year but I'mma BACK! Drawing up the final data file for Crimson! Also trying to figure out how to make an animated avatar with Crimson to so I storyboarded it first. Got my first fan art I guess? Mevan83 commissioned Cryptic and a female Haunting (now named Phantom) to be drawn. I saw those on DA and was thinking the same thing about the white one... Then I saw the NSFW versions and had to check if Cryptic had fully been copied... But looks like they went their own way with that as well. 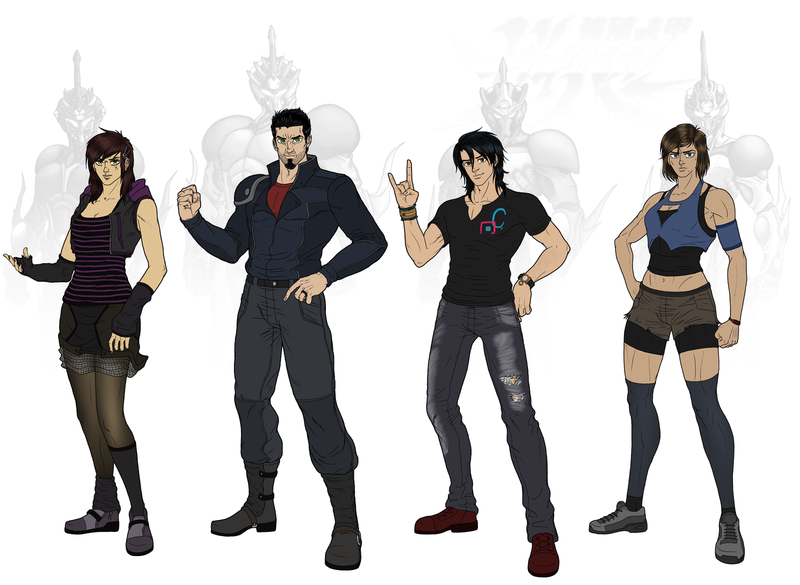 Still, can be fun to see fan art of your own stuff... Depending on the context of course. Yeah wasn't exactly Cryptic in the NSFW version. I don't really know if Mevan even saw my hosts bust piece. 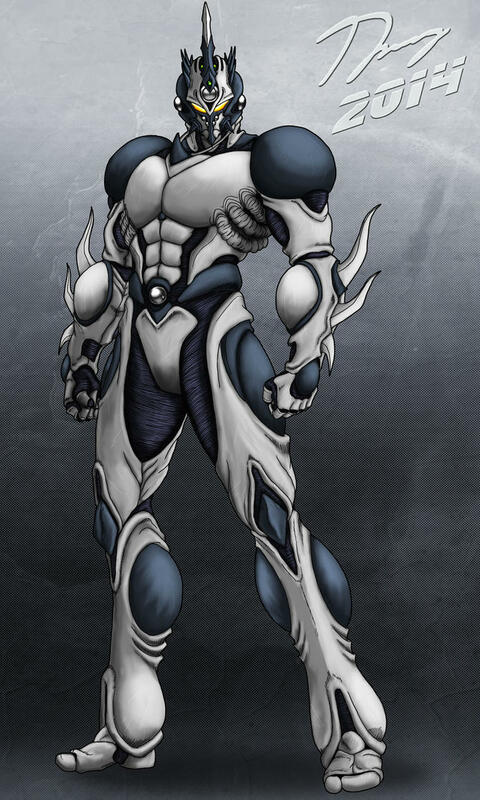 Either way, I had my own double take when I saw them when looking up Guyver on dA. There we go first one up! Nearly there! Looking for a good cell shader since I hate how my attempts turn out. 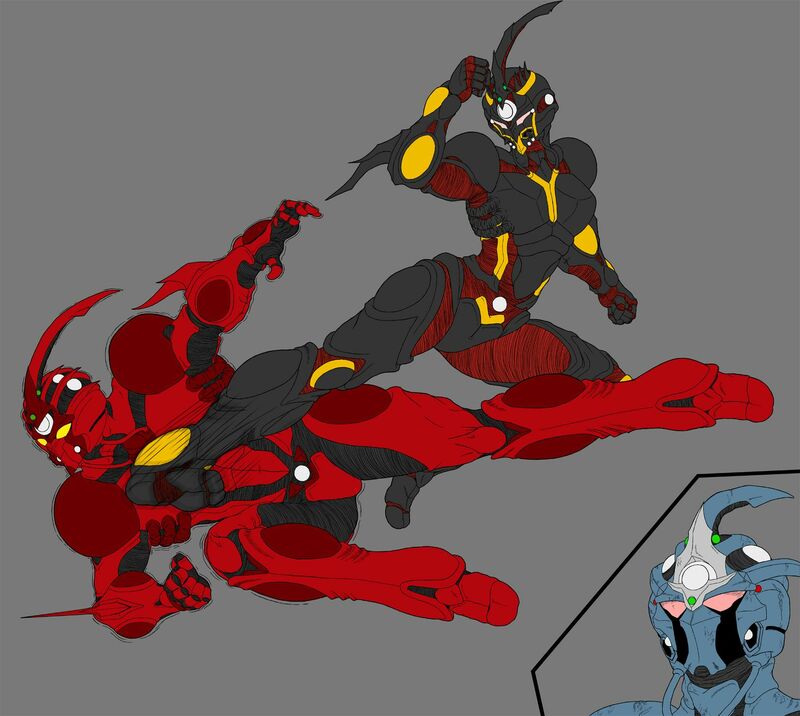 Lucithea decided to translate and color/finish the page I drew of Alfa facing off against Crimson a year ago. 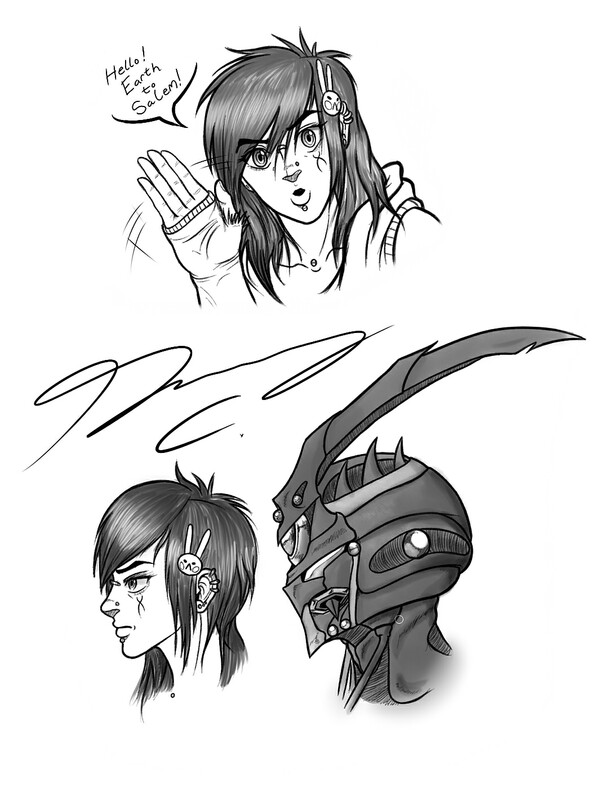 Being guided by Xiona for the first few years in fighting Chronos. 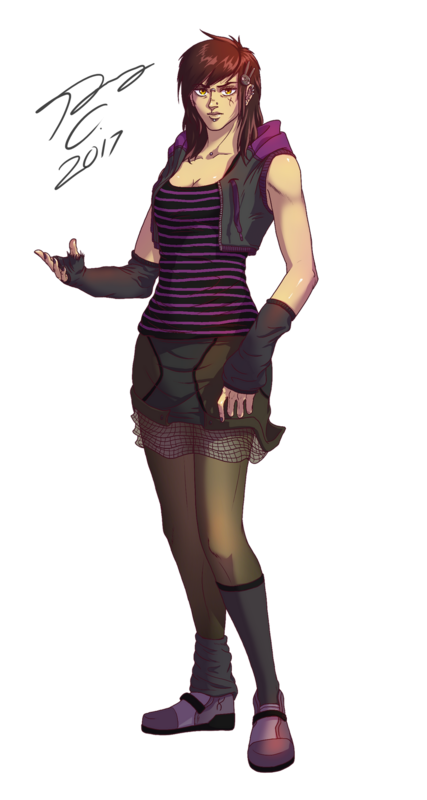 Salem became all to embroiled in the goals of Xiona and her faction which shared the same name as her. 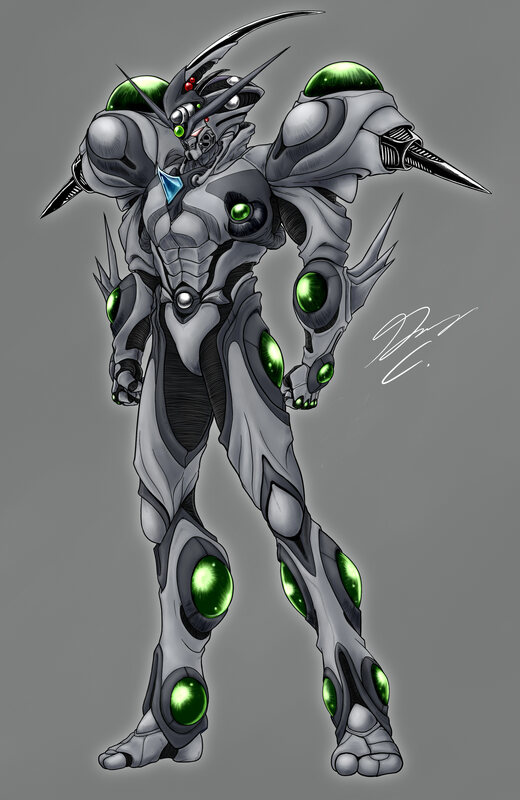 When the Guyvers gained the power of the Gigantic the armor again shifted to signal their motivations. Salem now possessed with the goals of Xiona, now has Xiona's darkness bleeding into his Gigantic's appearance. 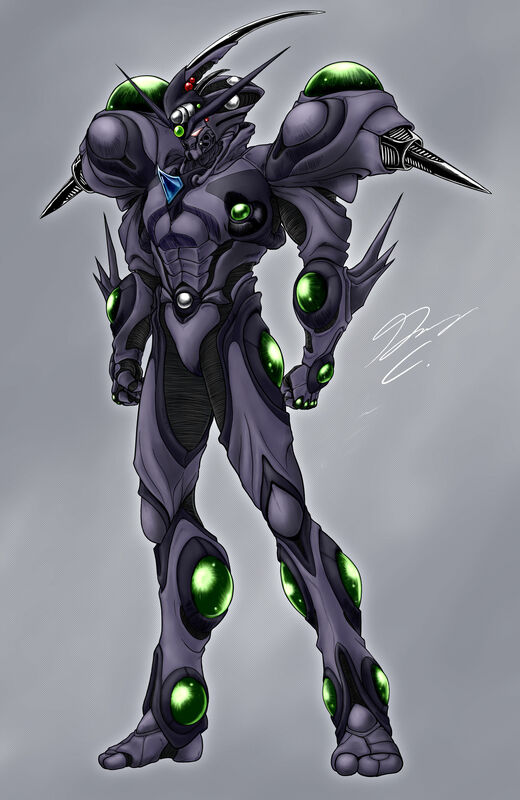 Corrupting the innocence of his once ocean blue armor to a muddled purple of Xiona's ambitions. Also what his GIgantic would look like without being "brainwashed"